If you are experiencing a problem, or have been instructed to by our support team you can enable a deeper log level for the Behave Pro package which will provide additional information to Jira's log. To enable, navigate to the System administration page and select Logging and profiling from the sidebar. Scroll down to the Default loggers section, and click Configure logging level for another package. 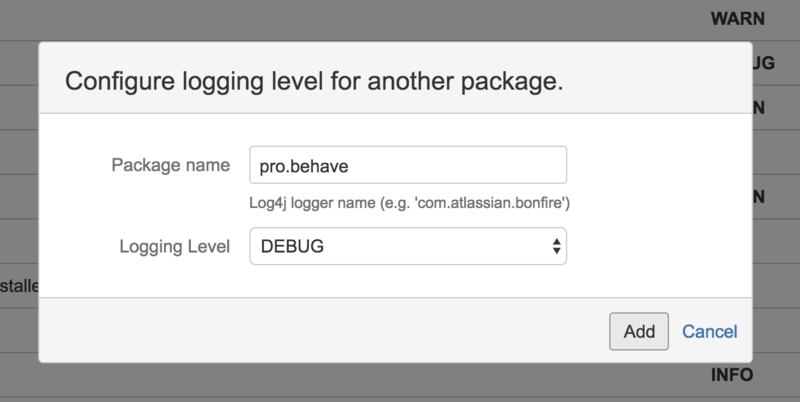 Enter pro.behave in the package name field, and switch the logging level to DEBUG, then click the Add button. Behave Pro will now output further information to the Jira log. 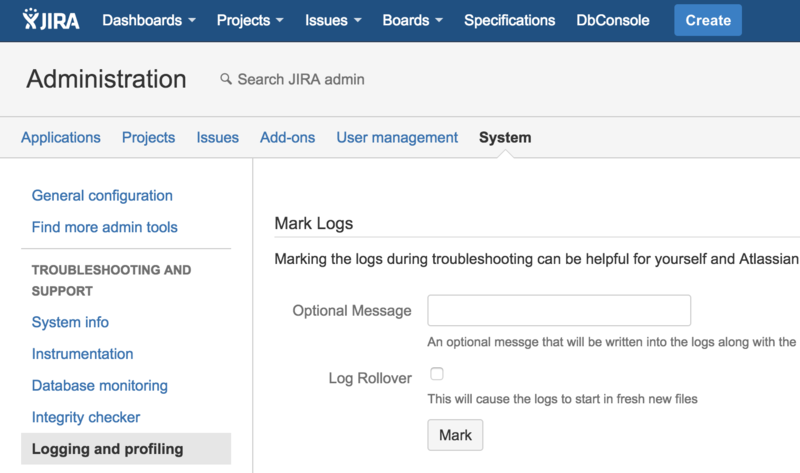 We recommend switching the logging level back to WARN once you have completed debugging, as the additional output will unnecessarily fill the Jira log. Please note that these changes won't persist after Jira restarts.